Happy Friday, y'all! Do you have big weekend plans? I know I sure do! One of my favorite holidays (and excuse to party on a Sunday) is this weekend -- Cinco De Mayo. I have been brainstorming different ways to celebrate the big 5th of May with my friends. 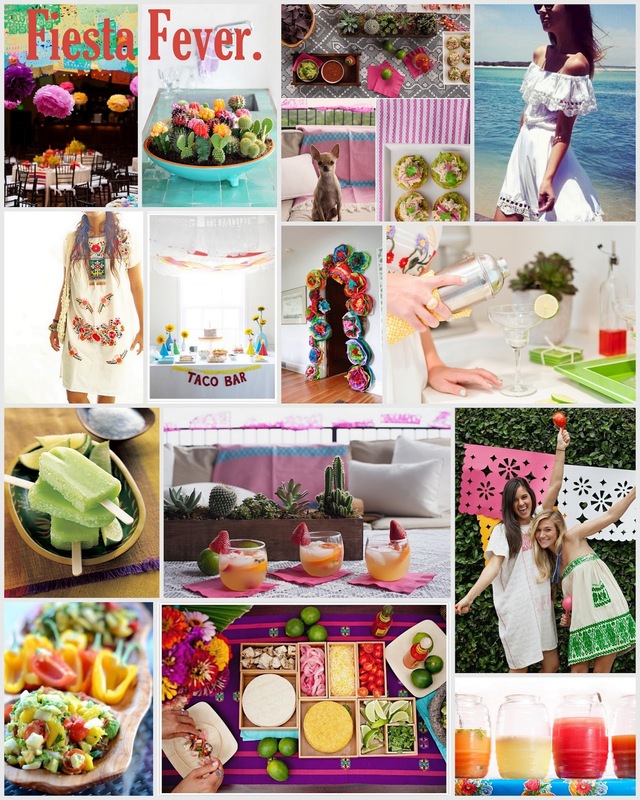 Of course tacos, cacti, cute Mexican insprired outfits, margaritas, and a side of guacamole must be involved. I am planning on making margarita popsicles + finding a cute chihuahua to hang out with. Here is an inspiration board I made involving all of the favorite Cinco De Drinko must-haves. I hope you enjoy your fiesta filled day / holiday!